AUGUSTA, Ga. – Even at his peak—a time closer in the rearview mirror than his recent scores might suggest—Jordan Spieth was never smooth. He doesn’t have DJ’s lazy amble or Tiger’s aloof chill. His pre-shot routine has always been an assortment of twitches set to a soundtrack of debate with his caddie. Post-shot it’s often a maelstrom of pleading with his still-airborne ball or exasperation at its fate. Those fidgety traits have only been heightened this season as Spieth surfs the most turbulent wave of his young career. He hasn’t won in almost two years and in 10 stroke-play events on the PGA Tour his best finish has been T-30. Thursday’s first round at Augusta National didn’t augur a positive change when Spieth carded a dismal 75 that matched his career-worst round at the Masters. 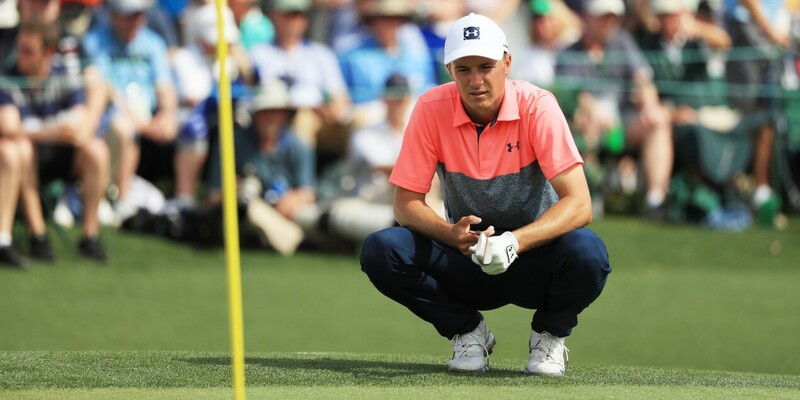 It’s a particular cruelty of golf that a great player’s struggles are cast in stark relief because they invariably happen on the very stages that once showcased his brilliance, and there is no venue where Spieth has been more brilliant than at Augusta National. In five starts at the Masters, he has only once finished outside the top three, and even that was a respectable tie for 11th. If Thursday suggested the gaunt state of Spieth’s game now, Friday was a robust reminder of what he was and is capable of. After that opening bogey, the 2015 Masters champion reeled off five birdies to post a 68 that not only put him safely inside the cut line but also within reasonable striking distance of the leaders, six strokes back with 36 holes to go.